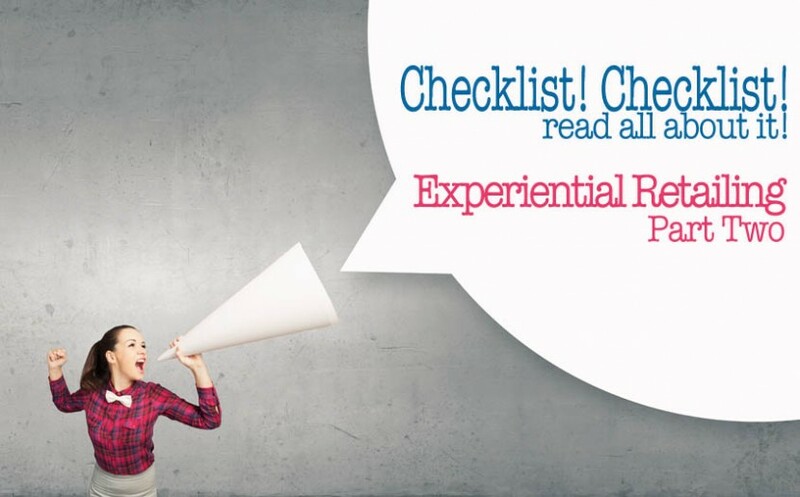 Now that we’ve looked into what Experiential Retailing is, and how it can positively impact our stores, now let’s look at some ideas on how we can ensure, via checklists, that we are hitting the mark with our in-store experience. As discussed in Part One, our “experience” must represent real value to the customer and be considered a positive and memorable moment. For instance, let’s say you are wanting to highlight the latest and greatest “Wiz-Bang” blender. Your supplier supports your efforts and sends a lovely demonstrator named Sharon to your store to make some smoothies. Shazza’s got a swarm of people waiting for a free smoothie sample; she helped sell one of the blenders too, so it’s working right? Yes, it has added a point of interest in your showroom, and it also provided some smoothie samples to people passing by, but is this really an unforgettable experience with a “Wiz-Bang” blender? No, not really. Chances are, the person who bought the machine was in the market for a “Wiz-Bang” blender anyway and it may have helped get them across the line. Do you think the next time they are in the market for a fridge, oven or vacuum that your store will be top on their list – or even better yet – only consider your store for purchases? Tasting would be a critical experience if we were selling food; however, in this instance, we are an appliance retailer selling many things, one of which is the “Wiz-Bang” blender. Not only is this demonstration and sampling technique expected, but it’s very unimaginative as well. One of the BIGGEST challenges facing retailers today is the migrating of our marketing mix away from “shouting & touting” to more of an advisory, helpful voice. The “New Customer”, is in charge and the most effective retail marketing today, helps customers to be more productive, eat better and see the possibilities a new product can have for them. When looking at in-store experiences, look at how you can add value to your customer’s lives…think inspirational, emotional, educational and life-changing. Don’t fall into the trap of thinking that the appliance can’t change people’s lives; they can and they do. Take the “Wiz-Bang” blender example for instance. Get your team to brainstorm inspirational things do we do with blenders? Could we create healthy foods, smoothies, nut butters, or healthy dips and cocktails for your next party? Many new diets like Paleo, Gluten-free and clean eating regimes all rely heavily on the use of high-quality blenders. Find an expert in one of these areas to share all the amazing things about that diet; get your customers involved so they can see how easy it is. Make it a special, send out invitations as a gift, take RSVP’s for your event and you’ll be amazed at the reactions you generate from customers. People will start to talk and truly appreciating the value you’ve given them. What’s so bad about people coming into your store even when they don’t need anything? Does it add REAL value to your customers? In what way does it change perceptions, perspectives, and lifestyles? Was the experience directly related to the product? Does it inspire someone to change how he or she cooks/prepares/goes about things at work or at home? If so, why? Use your WHY to build interest into the event. 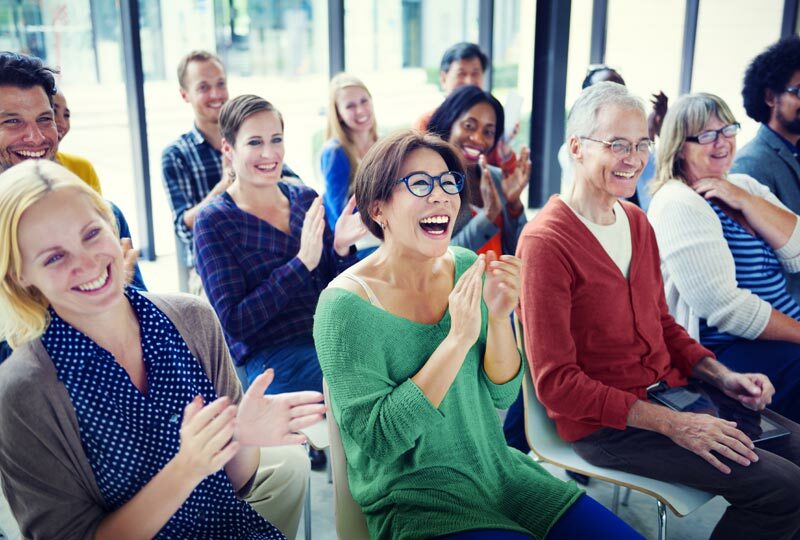 Will your event have a positive and memorable experience? If not, start over and make sure it does. Looking at your memorable experience – is there a way to remind your customers in an email how much fun or learning they experienced in your store? Pictures, recipes, videos…get them to remember the event all over again and bring up your next opportunity in-store so you can engage with them further. Blow your competition out of the water; offer your customers amazing experiences when they walk into your store. An experience is interpretive in nature and therefore, no one can technically have the same. Stop competing on the same products, the same prices and the same merchandising tactics as the guy/gal down the road. Above all, make sure you and the staff have some FUN with it. For Part One of this Blog, or to explore how you might bring experiential into your in-store showroom, visit our Show page. Hi, just wanted to tell you I really liked this article. It was really practical and easy to follow. Keep on posting! Thanks Andrea, I hope you can use it in your Web Design business. Cheers!